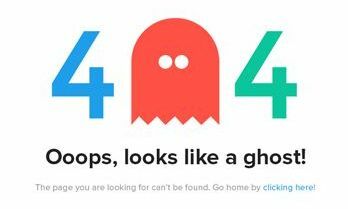 Do Too Many 404 Errors Harm SEO? We help all kinds of organizations from small schools to large global corporations utilize our platform and launch a more successful user experience. What to know more about how Monsido can help your organization? When visitors come to your website, click a link, and get a 404 Error, it is definitely annoying. But the question is do 404 errors harm SEO? There is a lot of debate in the SEO community about whether too many 404 Errors from broken links will really have a negative look on your rankings. We are here to sort out the confusion. 404s are a perfectly normal part of the web; the Internet is always changing, new content is born, old content dies, and when it dies it (ideally) returns a 404 HTTP response code. Search engines are aware of this; we have 404 errors on our own sites, as you can see above, and we find them all over the web. But just because something is “perfectly normal,” it doesn’t mean it is good for your SEO. We all know that Google favors fresh content in their algorithms. When you have a lot of 404 Errors on your website, it is a sign that your website content is old and outdated. It tells search engines that you are not maintaining your website. This will harm your SEO rankings. This is perhaps one of the most misunderstood aspects of SEO. How Google uses signals relative to your website. So, if you have lots of duplicate title tags, Google will likely view all your title tags as not being a good representation about what that page/file is about and will likely discount the weight it puts on title tags across your entire site. If you have lots of 404 pages on your site, Google will discount the value your other signals are sending them. Again, not all SEO experts agree on whether too many 404 Errors will harm your SEO, and in what way. Maybe your entire website will lose rankings. Or maybe just those pages with 404 Errors will lose rankings. Or maybe 404s don’t harm your website at all – especially if you have a lot of fresh content on your site which is free of 404 Errors. But it is hard to ignore case studies like this one at Blizzard Reports: after fixing over 1000 broken links, dozens of broken internal links, and about 100 broken image links, the website moved up 1,713 spots in rankings for 286 keywords. That is an average increase of 6 spots per keyword, and the increase in rankings happened immediately. Play it safe: get rid of broken links on your website! Not just for your SEO, but for the sake of quality assurance. While it is still debatable whether broken links directly harm SEO (Google will never let on all of their algorithm secrets), it is clear that broken links definitely do harm SEO indirectly. First off, there is your bounce rate. When visitors arrive at a 404 Error page, they probably aren’t going to click the back button. They are just going to click the heck away from your faulty website. A high bounce rate will harm your SEO. A few broken links isn’t something to worry about, but if you’ve got visitors clicking on broken links left and right, your rankings are going to suffer for it. Another way which broken links indirectly harm your SEO is by reducing the Time On Site metric. This is one of the user metrics which Google factors into your rankings. Finally, 404 Error message from broken links affect your ability to pass link juice through your website. It stops the spiders dead in their tracks, which is never a good thing for SEO. The fact that “the internet is always changing” is not an excuse to have broken links and 404 Error messages on your website. Whether they are broken internal or external links, you have complete control over the links on your website. Take the time to maintain your website and regularly fix any broken links. You can easily find broken links on your website using the Monsido Webmaster and SEO tool, which is completely free to test out. When you request a demo, we will scan your site. During the demo, we will show you what errors were found and how Monsido’s Automated Platform can help you resolve them.